FREE Amazon ECHO DOT with this Item when you Checkout Using Amazon Pay. *Simply Add this product to your basket and complete your purchase by clicking on the button on the Checkout Screen. "…the Marantz not only offers superb surround performance but also really decent two-channel Hi-Fi as well. I spent the best part of three weeks testing the NR1509 in our reference system here with a nice mix of movies and music and it performed extremely well. …overall the little NR1509 does exactly what it sets out to do and with some style and attitude. Music also sounds good, from two-channel stereo tracks to full-on musicals, the little NR1509 never failed to impress with punchy basslines from The Greatest Showman, to flat-out Wembley 1985 in Bohemian Rhapsody, where once again the performance was excellent at sensible volume levels with an excellent soundstage and precise vocal placement. Used as intended, we found very little to complain about at all from the plucky little 5.2 AVR and as such, it left us incredibly impressed with the value for money on offer…"
The Marantz NR1509 AVR has 5.2 channels with high resolution surround sound. With the Dolby TrueHD and DTS-HD Audio. This includes 6 HDMI inputs, one in the front panel. With the latest 4k Ultra HD video Specifications, 60 Hz full rate content and 4:4:4 Pure Colour Sub-Sampling that is compatible with the NR1509. It features an amplifier section to support the high resolution audio. By utilising this with music services such as Airplay and Bluetooth, you can enjoy your favourite music and control the NR1509 with your voice via the Amazon Alexa. With the HEOS app, you can ask Alexa to stop, pause and play your music, and switch the current channels for your inputs for different media players and adjust the volume at will. 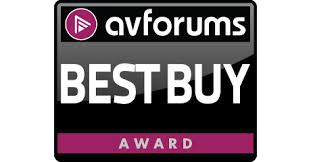 The Marantz NR1509 AVR has just received the award from the AV Forums giving it elite status for being one of the top models of Marantz. High Resolution Audio ALAC, FLAC and WAV that is decoded. DSD 2.8MHz and 5.6MHz tracks that let you listen to music as intended. Stream via music streaming services, like Spotify, Pandora, TuneIn, Deezer and many others via the use of Bluetooth, Airplay or the HEOS app. For the Setup Assistant, this advanced GUI with the Marantz AVR remote app which gives a easy setup process. Control the receiver with your smart TV remote, using the HDMI CEC function that is associated with your smart tv. A simple set of ‘HDMI Control’ is turned ON, in your receiver. Once there set up ‘Smart Menu’ to begin controlling the NR1509 with your Smart TV Remote. The Smart Menu home screen gives you quick access, to the various surround and source mode selections. The Marantz has a long rich history of designing audio components embraced by music lovers, with listeners around the world. The NR1509 carries the tradition of best-in-class listening experience for music and cinema. Our front loudspeakers come in the form of columns or compact satellites, turn the room into a stage and guarantee a broad range of sound. The rear loudspeakers in satellite format give the sound spatial depth and ensure impressive sound effects. The central speakers are the stars of any home cinema system. They transmit up to 70 % of the film and music information and their wide dispersion characteristics provide an optimal sound experience plus outstanding speech intelligibility in all situations. The generously dimensioned subwoofer with its high capacity digital amplifiers and long-throw speaker systems convey the emotion in our movie systems and ensure a solid bass foundation. Thanks to a range of different settings they can be adjusted to suit spatial conditions and personal listening tastes. The Moviemount wall mounting supplied makes it easy to mount the satellites securely on the wall.